We recently secured a limited supply of Rubycon 15.000uF 63V capacitors for our NCDX power supply module. 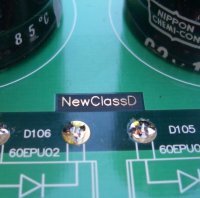 These are regarded as some of the best sounding PCB mounted capacitors, and better than most other industrial types. 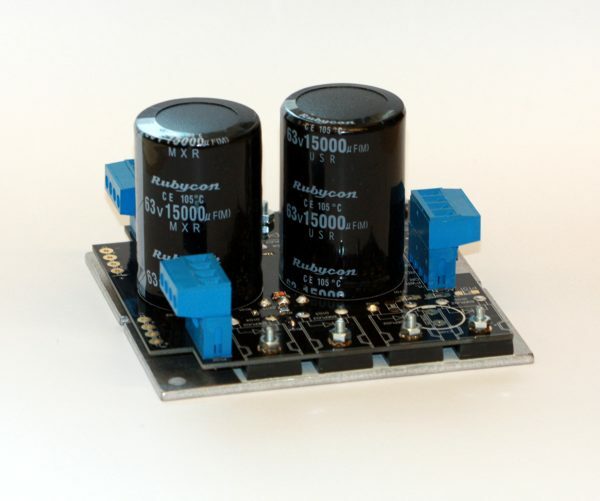 Our top range PSU module is for a limited period sold with this type of audio capacitor. 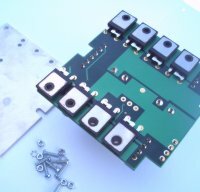 For the NewClassD Modules we offer a Low Noise Power Supply Module, interfacing to a traditional toroid transformer. The Power Supply Module is built on a 100 by 100 mm 4 layer Circuit Board, allowing for minimal transfer impedance in the power supply, as each connection makes use of an entire uninterrupted power plane, when applicable. 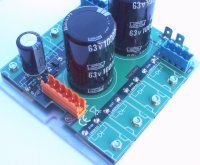 The Power output of this board is practically only limited by available power in the transformer! In case you need to mount the Power Supply and Amplifiers in a low profile case, or stand base of your Loudspeakers, the main Capacitors can be soldered onto the two 'Fast On' style pins at the end of the PCB, allowing building height of just 40 mm. 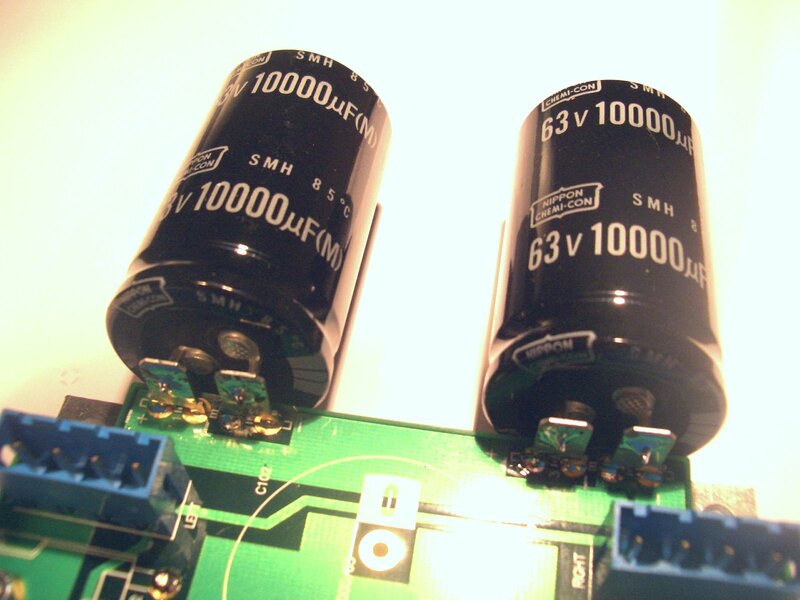 for both Power Supply and Amplifiers. The two Fast On terminals have direct access to the low impedance power planes, inside the Power Supply PCB. Rectification is based on the ultrafast recovery diode from International Rectifier type 60EPU02PBF.  [Click to download a datasheet]. 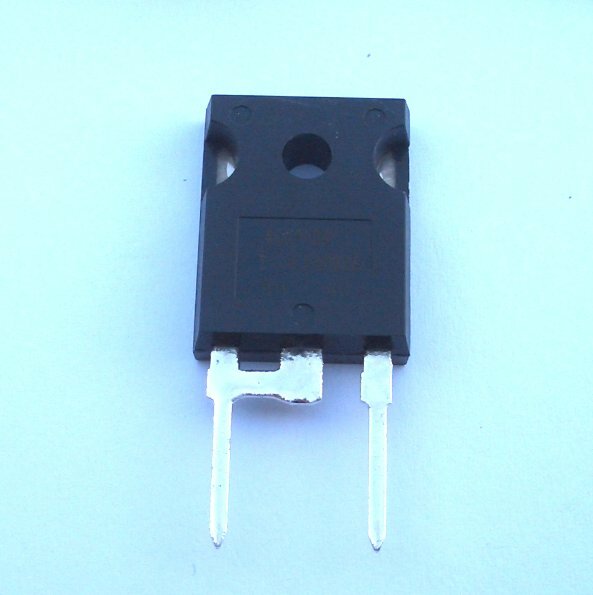 The key features of this diode is 60 Amps 200 Volts, and a recovery time of just 35 nS, even at loads of 60 Ampere, it gives virtually no charge release noise to the main capacitors. A current vector calculation shows less than 0.4 mVpp recovery zone. 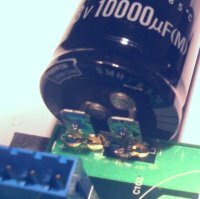 With a peak Current of up to 800 Ampere, (non repetitive) and just 1 Volt forward drop at some 100 Ampere it makes a pretty stiff power source to the amplifier. There are 8 of these rectifier diodes, forming a currentless ground setup, for lowest possible noise. 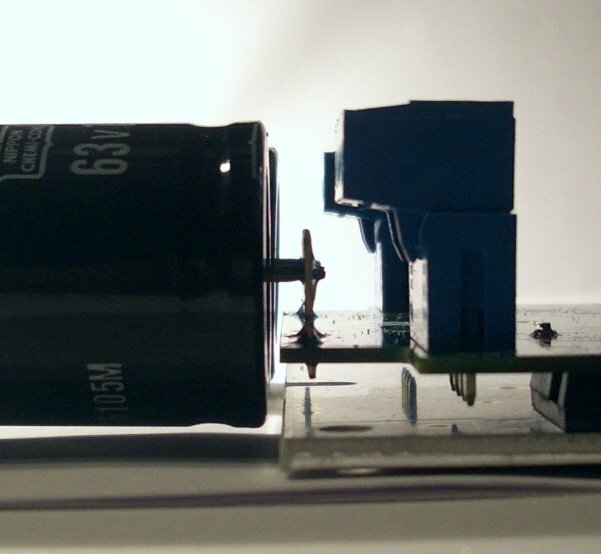 Due to the 4 layer PCB the impedance connecting to the amplifier module, is only limited by the ESR of the capacitors, unlike 1 or 2 layer boards where several times the ESR of the capacitor is often added in PCB traces and jumpers, before connected to the amplifier. The PCB is gold plated, to meet the RoHS directive, and also give the best sound quality. The whole Power Supply Unit s mounted on a 3 mm Aluminium base, providing adequate cooling, and a solid mounting base. Important! Remember to stick the thermotape (included) onto the diodes, before mounting them on the aluminum plate There is live voltage on the metal pad of the diodes. 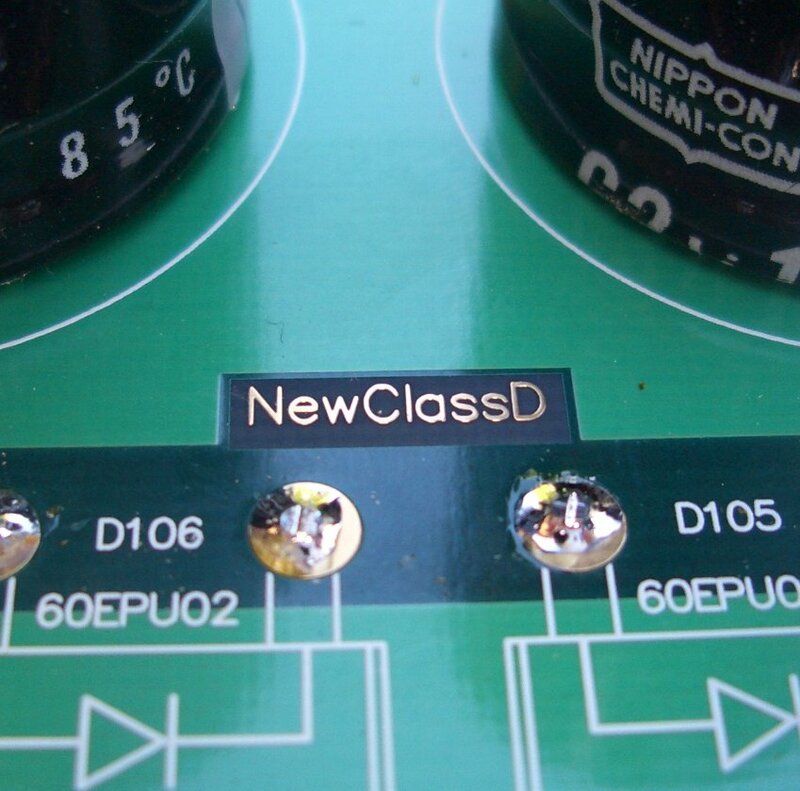 NewClassD products are made Lead Free, and with only the highest quality Brand Name components, and innovative Technology, to give you Excellence You Recognize Instantly! Innovative solutions make your amplifier project easy, and will result in first class performance, and musical revelations you will enjoy for years.